Recent events highlight that New Delhi has a long way to go in addressing its security. In the predawn hours of January 2, six heavily armed terrorists stormed India’s Pathankot Air Force Base, located in the northern state of Punjab and not far from the border with Pakistan. In the assault’s aftermath, Indian journalists, analysts and officials havelauded the bravery of the deceased (seven security officials died) and feverishlydebated how to deal with Pakistan, where Indian authorities believe the perpetrators were from. They have also, however, focused on a considerably more uncomfortable topic: India’s botched response. More to the point, how could six gunmen gain unchallenged access to such a highly secured facility? And why did it take several days to end a localized assault? Some of India’s actions and decisions following the attack were particularly questionable. According to The Hindu, even though thousands of Army troops were in relatively close proximity to Pathankot, the government decided to fly in National Security Guard (NSG) forces all the way from Delhi—265 miles away by air—to lead the operation to secure the base. The NSG is an elite force, but it was reportedly out of its element in Pathankot—unfamiliar with the terrain and surprisingly underequipped (its personnel lacked basic essentials such as proper night vision devices). The NSG was one of three commanding bodies at Pathankot. Another was the Defense Security Corps, an outfit with members described by one Indian defense analyst (perhaps unfairly) as “retired and unmotivated” military personnel. They lack counterterrorism training and were armed only with “standard-issue, self-loading” rifles. To be sure, the Indian response was by no means an utter failure—and by some basic measures, it was a great success: there were no civilian casualties, and none of the military assets housed on the base were damaged. One analystargued that the long duration of the response was a reflection not of incompetence and slowness, but of caution and judiciousness meant to avert further casualties. 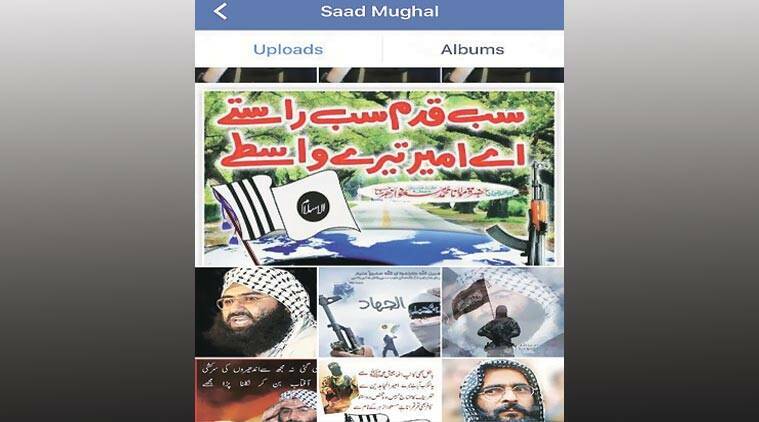 Written by Praveen Swami | New Delhi | Updated: January 13, 2016 Pathankot attack: The Facebook profile of Saad Mughal, whose number was among the five dialled by the terrorists. Five phone numbers called by the terrorists who attacked the Pathankot airbase last week track back to individuals whose Facebook pages identify them as residents of Pakistan. In one case, an individual had posted images of armed Jaish-e-Muhammad operatives; another number was one used in advertisements for its charitable front, al-Rahmat. Indian investigators recorded only three snippets of conversation, one by a terrorist using the single name ‘Nasir’, who spoke for several minutes with his mother and brother. The other Pakistan numbers were found by investigators as they studied the two carjacking victims’ mobile phone records. The five numbers were called by the attackers using phones taken from slain taxi driver Ikagar Singh, and jeweller Rajesh Verma, friend of Punjab SP Salwinder Singh. Earlier this week, Pakistani media reported that investigators in that country had said the numbers were “not registered”, suggesting that they did not exist. All Pakistani mobile phone SIM cards are sold only after biometric data is provided by their users. The numbers were conveyed by National Security Advisor Ajit Doval, highly-placed government sources said, to his counterpart Lt General (retd) Nasir Janjua earlier this week. The first among the five numbers is identified by Truecaller as belonging to an individual called “Saad” — Truecaller harvests data from users’ address books, and uses them to build a database of information that helps reliably identify calls from unknown numbers. The number, operated by cellphone company Mobilink, was also linked to a Facebook account operated by Saad Mughal, a resident of Sahiwal in Pakistan’s Punjab province. Mughal’s Facebook page identifies him as a one-time student of the Government High School in Arifawala. He describes himself as working at “Islam”. Incidentally, Mughal’s Facebook profile picture is of the Jaish-e-Muhammad’s chief, Maulana Masood Azhar, an internationally-proscribed terrorist wanted, among other things, for the hijacking of an Indian Airlines flight to Kandahar in 1999, and the 2001 attack on Parliament House in New Delhi. Mughal’s Facebook page also contains several photographs of armed individuals who appear to be jihadists operating in Kashmir, safehouses equipped with weapons, and propaganda posters vowing war on India. The second number is identified by Truecaller as belonging to an individual using the name “Kashif”, and is operated by Telenor. The same number was used by an individual named Kashif Jan to operate a Facebook page. The page identifies Kashif as a former student of the University of Karachi, and states he was born on January 30, 1982. Kashif’s Facebook page lists Mughal as one of his contacts and also contains propaganda material for Islamist causes, notably a campaign to free Mumtaz Qadri, the assassin of former Punjab governor Salman Taseer. Mughal is also connected, though Facebook, to a third individual called by the terrorists. The number, provided by Warid Telecom, is identified by Truecaller as belonging to “Molana”, a possible typographical error for Maulana. The number links to a Facebook page operated by Usman Sarwar, who claims to be a former student of the Lahore University of Management Sciences and Lawrence College, Murree, and says he works full time at “Dawah (proselytisation) calling to Allah”. Sarwar, incidentally, is linked to both Kashif and Saad Mughal through several common friends-and also hails lives in Sahiwal. In one case, there is an explicit connection with the Jaish. Truecaller identifies the user as “Jashe Islam”, a possible misspelling of Jaish-e-Islam, or army of Islam. The number appears in advertisements that have appeared several times in Jaish-related publications, as well as the website banateayesha.com, asking for contributions for the jihadist group’s charitable front, al-Rahmat. Ever since 2010, al-Rahmat has solicited contributions to an account at the National Bank’s Satellite Town branch in Bahawalpur, held by a Ghulam Murtaza. In advertisements, the trust — sanctioned by the United States, United Arab Emirates and other countries — has said it provides funds for jihad veterans and religious causes. Talk, but without illusions Suspending the dialogue each time there is a terrorist attack gives jihadis a veto over talks. 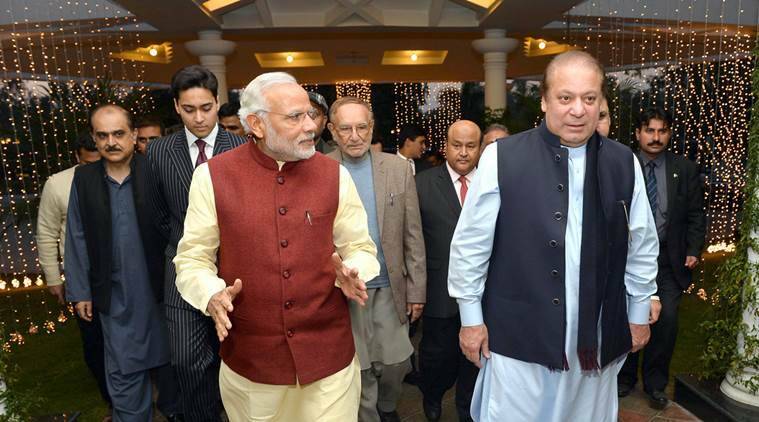 It did not take long after the Christmas Day holding of hands between Prime Ministers Narendra Modi and Nawaz Sharif in Lahore for India and Pakistan to be back in a familiar rut. The terrorist attack in Pathankot rightly infuriated Indians who now want action against its perpetrators. Talks between the two countries are now on hold again until such action is taken. We have seen this movie before. In the wake of the Mumbai terror attacks in November 2008, India’s anger resulted in scuttling dialogue with the relatively new PPP government led by President Asif Zardari and Prime Minister Yusuf Raza Gilani. Pakistan’s leaders, under pressure from the international community, promised full cooperation in investigating the terrorists involved in the attack. Arrests were made, a trial initiated and after many rounds of finger-pointing, talks were resumed. The Mumbai attackers have yet to be convicted. Hardliners in Islamabad say there is insufficient evidence to convict anyone, which surprises Pakistan’s international critics. It seems incredulous that evidence is hard to find in a country that managed to execute one of its elected leaders after a trial universally deemed flawed and has kept many others in jail for years without bail or conviction. There is no dearth of Pakistanis who believe that both Mumbai and Pathankot were a black operation of India’s own security services. Such a state of denial creates parallel universes in which one side wants the solution to a problem the other denies even exists. The terrorists and their backers use well-timed attacks for two effects: One, to keep hostility between India and Pakistan alive; and two, to keep recruiting and training terrorists with an apocalyptic vision of a battlefield that stretches from Kabul to Kolkata. She is a symbol of free expression, defiance and sheer courage. She is also perhaps the one Asian woman whom Islamist fundamentalists—and cynical vote-seeking politicians—hate the most. She has been abused, vilified, hounded for her writings, and is forced to live incognito under the shadow of fatwas. She is a refugee with no country to call her own. Surajit Dasgupta ran into exiled Bangaldeshi writer TASLIMA NASRIN at the home of an activist in October. While she readily agreed to an interview, it did not materialize for more than two months, as one appointment after another was cancelled by her at the eleventh hour. Often, she would not take his calls; messages went unanswered. Until eventually she divulged her residential address, while pleading not to share it with anybody. When he finally reached the house where she lives without the knowledge of even her immediate neighbours, he was frisked thoroughly by two police constables, made to fill a register of visitors and then let in.Throughout the interview, Minu, Taslima’s cat, sat by Surajit’s side on the sofa, once climbed up onto his lap and fretted whenever his hands moved while talking. Taslima explained that Minu had to be temporarily kept in the custody of different people she had no option but to trust in the periods when she was either banished from Kolkata or not allowed to stay in India. The author does not know how the cat coped with those durations of putting up in households it was not familiar with. Minu’s call sounds like the wail of a forlorn human baby; it might well be seeing a potential attacker in every visitor. This is not a literal translation of the interview, which was conducted entirely in Bengali, but utmost care has been taken to uphold the spirit of all that Taslima said, at a location we cannot disclose. The Wikipedia article about you says that you live in the United States these days. Really? Wow! Terrorists can set sail for America to eliminate me then (laughs). The threats to your life that you had received in 2007 and 2008 from the likes of Maulana Tauqeer Raza—are they still being issued? Yes, Rs 5 lakh for my head. Then, the riot-like situation created in Kolkata. By a certain goon called Idris Ali? Idris Ali couldn’t have done that on his own. Who are the people who bring forth such characters? Some political parties, politicians. Idris Ali was once in the Congress; he is now with the Trinamool Congress. The people who created that situation, holding the city to a ransom, inconveniencing thousands of law-abiding citizens, were CPI(M) guys. Muslims only from areas ruled by the then ruling party had assembled to create that chaos. Without some organizational backing, a mob of that size cannot be managed and, more importantly, the police wouldn’t reduce to being mute spectators to scenes of buses, trucks, cars etc being set on fire. This was the CPI(M)’s ploy to deflect Muslim attention from the incidents of Nandigram and Singur, where police action found mostly Muslims at the receiving end, and the murder of Rizwanur Rahman, which had alienated the community. Muslims by and large believed the police had killed Rizwan. That very night (the then chief of the West Bengal CPI(M) party unit) Biman Bose said, “If they (Muslims) do not want Taslima, Taslima must leave.” This is clearly politics. Who is Idris Ali in this entire scheme of things? Or, who is the Imam of the Tipu Sultan Mosque to issue a fatwa against me? None of these pawns could have, on their own, realized such an elaborate gameplan. The Pathankot Air Force Base attack is a reminder that India is located in a hostile geopolitical environment. The enlightened diplomatic endeavors of the Government need to be supplemented with high alert, always-in-readiness, defence forces. It is in this context that the defence related recommendations of Seventh Central Pay Commission (SPC), submitted recently to the Government of India needs to be examined. The elite Indian defence forces (EIDF), consisting of Army, Air Force and Navy, explicitly continue to be unsatisfied with SPC recommendations. An dispassionate perusal show that some recommendations, made with an objective of fiscal consolidation, need a revisit, as these would not yield any substantial saving for the fisc but correcting them can help assuage the sentiments of defence personnel. The EIDF, especially the Indian Army, has been playing a pivotal role in India be it in defending our borders or in times of every national calamity, in the mountains or plains. In fact, EIDF, with hetereogenous composition of its soldiers, and presence in every nook and corner of the country, has played an important role in national integration too, worthy to be emulated by others. It is important that EIDF enjoys a special status for the yeoman service that they have already done for our citizens, and more importantly, because they have to be on high alert all the time, irrespective of their location on the border or otherwise. Hence, in acknowledgement, as Indian Administrative Service continues to enjoy the supreme status, deservedly, in comparison to other civil services, EIDF deserves a special status in comparison to other para military, border and police forces. Also, if India has to emerge as a global super power, it will need, amongst other things, active assistance and preparedness of its EIDF. The super powers of an earlier era, like the UK, or today, the US, relied heavily on well-furnished defense forces. The aspirants like China and Russia follow the same pattern. Incidentally, USA allocates largest amount of resources to its defence budget, more than 4 percent of GDP. Pathankot attack: Enduring macros Having the Army taking the lead in the operation could have provoked Pakistan to retaliate. POLITICS | 7-minute read | 12-01-2016 Colonel R HariharanCOLONEL R HARIHARAN @colhari2 909 Total Shares There is a feeling of déjà vu when we look at our response to the Pathankot attack. There was the same confusion in command and control, poor response to warning of a terrorist attack, abysmal physical security measures (even in the airbase close to the Pakistan border where terrorists freely circulate), leadership without responsibility, incoherent public communication and political one-upmanship between the state and the Centre as we saw after Lashkar-e-Taiba (LeT) terrorists carried out the 26/11 attacks in Mumbai. There was timely dissemination of intelligence about an impending terrorist attack. Prime Minister Narendra Modi, fortunately, kept mum and didn't utter the usual “we will not be intimidated by terrorist attacks” statement, sparing the nation this embarrassing cliché, unlike his predecessors. The Opposition castigated Modi though they knew the prime minister never made a statement when everyone expected him to do so. Modi, in fact, struck to his schedule and spoke about yoga! Also read - Pathankot attack: Pakistan pushing India for war? However, there was a curious difference in the way the Pathankot attack was handled. In a first, National Security Advisor (NSA) Ajit Doval took charge of strategising and controlling the counter-terror operation from New Delhi in the early stage itself, though the operation was inside an important military airbase! One may call it the Doval gambit as the NSA seems to have used it an opportunity to pin down Pakistan prime minister Nawaz Sharif and make him take follow-up action and bring the Jaish-e-Mohammed terrorists to book as a tangible proof of his sincerity in mending ties with India. The NSA saved Sharif’s face by not calling in the army to carry out the operation which could have provoked the Pakistani army to retaliate. Hats off to the NSA; apparently he convinced the three service chiefs to be party to his decision; otherwise it is difficult to understand them agreeing to hand over the operation to the National Security Guard (NSG) commandos even before the first shot was fired (NSG arrived at the scene even before the operation started according to Punjab Police). Also read - Pathankot attack: Are India's nuclear sites really safe from Pakistan? The Army was available in the near vicinity of Pathakot and counter-terror operations are its bread and butter. They had been conducting such operations the region for more than four decades. I am confident there exists in the airforce base a standard operative procedure for joint operations with the Army to handle such a threat. So the NSG was flown into the airbase and the results are there to see. What is disturbing is the national mindset that seems to be the driving force in this country in matters military. During the last three decades or so, the services seem to have been trained to say “ji huzur” to politicians and bureaucrats even on matters of national security rather than take decision and act with responsibility in keeping with their professional training. To set the record straight, our service chiefs also seem to have become accustomed to this state of affairs for many years now. They are wise men. They have seen an irrepressible Army chief running the risk of being hauled up had he moved two regiments of armour for training in the national capital region without "permission" from the defence ministry (or informing the then minister Manish Tiwari even though he had nothing to with defence ministry). The chief could have been accused of plotting a coup! Also read: India must weed out and fight the terrorist within The latest demonstration of this mindset is in the sixth pay commission’s draft recommendations. It equates a trained soldier with the lowest rung of untrained civilian staff, well below the policeman, in dishing out largesse. Coming back to Pathankot airbase attack, nobody seems to believe the apologetic defence minister Manohar Parikkar’s claim that the operation was a success. He only saw some “security related gaps that will be cleared after investigation”. It is the understatement of the year so far! But if we go by the minister’s body language, he himself probably did not believe it. His discomfort is understandable. After all, the airbase - a prime airforce installation close to the Pakistan border - had advance warning of a possible terrorist attack; yet the six terrorists managed to not only enter the airbase but strike at a time of their choosing and inflict casualties. They managed to stretch the operation for over three days. Probably that is why Masood Azhar, the Jaish chief, is gloating over the terrorists' success in Pathankot. Moreover, the defence minister, like the service chiefs, seem to have been on the fringes of the decision-making process in the Pathankot operation. The poor man was left to explain minister for home affairs Rajnath Singh's hasty declaration of complete success even before the terrorists fired the last shot in the operation. Where does the home minister come in a terrorist attack in a military establishment will be an enduring mystery, if we ignore the clear pecking order even in case of a counter-terror operation inside a military installation. The other enduring mystery is the security of airbases. In 1963, I found the same weaknesses in Tezpur as in Pathankot – floodlights of the perimeter not working, heavy uncleared underbrush within the airbase that provides hiding space for intruders and poorly maintained border fencing. The Pathankot airbase seems to be only maintaining this tradition of neglect. The problem is that it was Tezpur way back in 1963. Now it is 2015. Pakistan has become the world capital for an alphabet soup of jihadi terrorist outfits. Jihadis regularly infiltrate into Jammu and Kashmir to create trouble. They do this also in the south across the India-Pakistan border in Punjab through which drugs, fake currency and humans are also regularly trafficked. And as I grow older, I discover some things never change in this country. There was a lot of lightning and thunder when we made a mess of handling the 26/11 attacks in Mumbai. The UPA's man of action P Chidambaram took over as home minister and swore to rework the whole national counter-terror response system. He used to submit progress reports regularly to Parliament. But the whole issue faded from the political discourse, public mind and national mainstream. Now he is only lamenting about things he failed to do. We are back to where we started; cacophony in parliament has overtaken action on national priorities including security threats. So like the child widows of rural West Bengal who loudly voice their woes in village temples in the evenings, we will start our lament all over again when another big bang Pakistani terrorist attack overwhelms us. We can only wish good luck to the NSA in his new gambit; but I am not prepared to bet on his success because some things never change in Pakistan also. It seems to be our mirror image in its laid back attitude towards result-oriented action. Lastly, my heart goes out to the Defence Security Corps personnel - the re-employed defence pensioners who had the thankless task of fighting the terrorists. They were never meant to do this. In the Pathankot operation they showed that grey hair and stooped backs notwithstanding, they are no less than their serving peers. They sacrificed their lives without even collecting their One Rank One Pension (or not true OROP) dues which are yet to be notified, just as many of their fellow pensioners are doing. I hope their widows at least collect their dues in their lifetime. As 19th century poet Arthur Hugh Clough said, “If hopes are dupes fears may be liars.” So servicemen continue to live on hope; what else they have? Enduring macros never change in this country; so we plod on. Having the Army taking the lead in the operation could have provoked Pakistan to retaliate. There is a feeling of déjà vu when we look at our response to the Pathankot attack. There was the same confusion in command and control, poor response to warning of a terrorist attack, abysmal physical security measures (even in the airbase close to the Pakistan border where terrorists freely circulate), leadership without responsibility, incoherent public communication and political one-upmanship between the state and the Centre as we saw after Lashkar-e-Taiba (LeT) terrorists carried out the 26/11 attacks in Mumbai. There was timely dissemination of intelligence about an impending terrorist attack. Prime Minister Narendra Modi, fortunately, kept mum and didn't utter the usual “we will not be intimidated by terrorist attacks” statement, sparing the nation this embarrassing cliché, unlike his predecessors. The Opposition castigated Modi though they knew the prime minister never made a statement when everyone expected him to do so. Modi, in fact, struck to his schedule and spoke about yoga! However, there was a curious difference in the way the Pathankot attack was handled. In a first, National Security Advisor (NSA) Ajit Doval took charge of strategising and controlling the counter-terror operation from New Delhi in the early stage itself, though the operation was inside an important military airbase! Writing against the received wisdom of the day, one would like to assert that India-Pakistan road to peace runs through Kabul and not through Kashmir is a contemporaneous strategic truism as Pakistan’s strategic uncertainties arise from Pakistan’s morbid fears that a pro-India friendly regime in Kabul is a deadly threat to Pakistan than an India-integrated democratic Kashmir where Pakistan has not been able to redraw boundaries despite four wars. Kashmir is an explosive nuclear flashpoint is a myth which the United States and the West have perpetuated over decades to massage the grandiose egos of Pakistan Army’s megalomaniac Generals. The Pakistan Army is conscious that Kashmir even by some magical wand if given to Pakistan would be another Bangladesh in the making for Pakistan. Politically, the Kashmir issue is merely a handy political weapon in Pakistani elections to whip up support from rootless Islamic Jihadis. For Pakistan Army, the Kashmir issue is a convenient scarecrow to scare Western nations into believing that South Asia is sitting on a powder-keg and that they should pressurise India to yield on Pakistan Army-centric demands on Sachin, Sir Creek and Kashmir if possible. Even the Pakistan Army is not serious about Kashmir other than rallying around Islamic Jihadi outfits. Perpetuation of the “Kashmir Issue” is a handy survival instrument for the Pakistan Army separatist groups in Kashmir Valley like the Hurriyet to gain both political relevance and presumably finances. Other than the above factors, it is high time that India stops assisting these anti-Indian forces by itself perpetuating the Kashmir issue by agreeing to discuss Kashmir as part of any India-Pakistan peace dialogues. India would be well advised to project to Pakistan backers like the United States that the India-Pakistan peace road runs through Kabul and not Kashmir. Some years back in a paper on this site I had asserted that if the United States saves Afghanistan from Pakistan Army depredations, the United States stands a good chance to save Pakistan from political disintegration but if United States accords priority to Pakistan Army then the United States would be in danger of losing both Afghanistan and Pakistan also. The violence in Malda, where a mob torched a police station in Kaliachak, attacked a block development office, ransacked some Hindu homes and set some 35 vehicles on fire, cannot but be communal. A communal incident does not need two communities to battle on the streets to qualify as one; the mere fact that one community did all the attacking and mayhem, allegedly as revenge for one Kamlesh Tiwari’s unsavoury comments about the Prophet, makes it communal. So Mamata Banerjee is clearly running scared of calling a spade a spade by declaring that the Kaliachak attack was not communal. However, no matter how you label this kind of unacceptable behaviour by misguided Muslim mobs, the implications for the Indian Union and the state of West Bengal are clear: it is an indirect assertion by a so-called minority group that it now has the numbers to call the shots. It is a recognition of the demography of Malda, which is now a clear Muslim majority district after the 2011 census, with two million Muslims to 1.9 million Hindus. Along with Murshidabad and North Dinajpur (two of which have borders with both Bangaldesh and Bihar), this is the new Muslim hub that connects the Muslim parts of Bihar with Muslim Bangladesh. It is the kind of multi-country ethnic corridor that terrorists dream about. Malda’s is a demography that cannot be wished away, and it is – not surprisingly – also the new crime hub of the east, with everything from illegal opium cultivation to human trafficking to the distribution of fake currency notes now part of the ecosystem. Often led astray by his sources, Kaushik Roy fails to attempt to answer the most important questions that vex military historians of South Asia. Such lapses cannot be afforded in a history project as important as this. Hinduism, and South Asia more broadly, has been a glaring lacuna in the study of military history and ethics. Kaushik Roy’s Hinduism and the Ethics of Warfare in South Asia: From Antiquity to the Present (henceforth HEWSA) is, unfortunately, a poor attempt to rectify that oversight. Although HEWSA passes as an introduction to the uninitiated, it leaves most of the important questions that vex military historians of South Asia unanswered. Although the author’s attempt to place warfare and ethics within their cultural moorings rather than posit them as universal axioms is appreciated, the wider ambitions of his work in presenting South Asia to a Western audience takes away from a focussed analysis of military matters. To be fair to Roy, however, the topic and timeframe present a Herculean project that would require expertise not just in military affairs but also archaeology and several languages to accomplish thoroughly. This explains why a choice was made – wisely – to restrict the study only to ‘elite’ Sanskrit circles that had the greatest influence on policy. It should also be mentioned at the outset that for the purposes of this review – and most of HEWSA, South Asia is synonymous with India and the dharmic systems that abide within. The question before any study of military ethics is what constitutes a just war and how it should be waged. When it comes to South Asia, scholars would first have to dispel the notion that the region has never known the practice of strategic thinking; second, they would also have to break away from the overpowering Europeanising grand narrative of universal history that places the experiences of the western end of the Eurasian landmass as the normative centrestage. HEWSA begins by asking basic questions on the nature of war and politics instead of accepting readily available theories from the Western canon. Roy, however, sets up the strategists of India in a conversation with their Western (and Eastern) counterparts rather than in opposition; clearly, he does not wish to settle for the simplistic binary of East vs. West that still colours comparative studies across specialties. This is certainly a strength of the book though also a weakness as I will explain later. New Delhi, January 11 Months after the Narendra Modi-led government promised a new procedure for defence equipment acquisition, the Ministry of Defence today okayed major policy changes that will give top-priority to locally produced equipment and fund Indian private companies to do research and development. It, however, deferred addressing key twin issues: One, having a method on blacklisting, or not blacklisting, of firms indulging in wrongdoing and two, on having guidelines to select international strategic partners for producing major equipment in India. The Defence Acquisition Council (DAC), the apex decision making body of the MoD, took the decisions at a meeting chaired by Defence Minister Manohar Parrikar here this evening. The DAC, at a three-hour meeting, allowed changes to the Defence Procurement Procedure (DPP)-2013 following the yearlong review. A committee of experts headed by former Union home secretary Dhirendra Singh suggested changes to DPP. Under the changes allowed by the DAC today, the DPP will have a new category called the ‘IDDM’ or ‘Indigenously Designed, Developed and Manufactured’ platforms. This will get top priority and will be first to be chosen for tenders. This will have two sub-categories — one, it will be mandatory to have 40 per cent local content in case the design is also indigenous. Two, in case the design is not Indian, 60 per cent local content will be mandatory. The definition to be counted as an ‘Indian company’ is a company that is controlled and operated by Indian nationals. “This way the Intellectual Property Rights remain within the country,” a source said. Notably, the DPP allows certain leverage to foreign companies. It raises the limit of ‘off-sets’ from Rs 300 crore to Rs 2,000 crore. ‘Off-sets’ are a provision that makes foreign companies to mandatorily procure 30 per cent of the supplies from Indian partners, in case of winning a bid of Rs 300 crore or more. This limit has been raised to Rs 2,000 crore, as not many Indian companies are available to absorb so much of technology infusion. KABUL, Afghanistan — The urban attacks are suddenly coming at a dizzying pace — five in the first week of January alone. Three were relatively simple even if massive bombings, but in the others, Taliban gunmen entered important cities, seized buildings and hostages when they could, then set off their explosives vests when capture seemed imminent, sometimes after hours of fighting. As the insurgents have been grabbing stretches of territory in Afghanistan’s border provinces, the quick guerrilla assaults have been nicknamed “complex attacks” here. They have kept residents of Kabul and other major Afghan cities on edge. The Taliban’s intended message is clear: We waited out the Americans, and now can strike at will — even through the so-called “ring of steel” cordon of security around Kabul. But the attacks are not going unanswered. As the Afghan security forces have struggled elsewhere, the troops tasked with preventing such attacks have had a measure of success in minimizing the damage in recent months. “They come to die, their death is guaranteed. And we go there hoping to take care of them without casualties,” said an Afghan special forces commander in Kabul who has been involved in repelling dozens of the attacks. He spoke on the condition of anonymity because he was not authorized to brief the news media. For both sides in the war, the urban attacks have become important symbols. For the Afghan government, rocked by the temporary loss of the provincial capital of Kunduz last year, a good showing by the special forces is vital in trying to fight panic after months of battlefield losses. Will China's New Passenger Drone Carry Soldiers Into Battle? A new mode of transport raises unusual questions about the future of war. Will tomorrow's soldiers be transported into battle by drones? There was no mention of that amid the hoopla when Chinese manufacturer Ehang unveiled what it called the world's first passenger drone at the Consumer Electronics Show earlier this month. The Ehang 184 is about the size of a golf cart, a 5-foot-tall, 440-pound, all-electric helicopter that sort of resembles a big bicycle trailer with four arms and eight rotors. The company describes the 184 as capable of carrying a 220-pound passenger for 23 minutes at a speed of 60 miles per hour. The 184 "is a manned drone capable of automatically carrying a passenger through the air, simply by entering a destination into its accompanying smartphone app," the company boasts. "Due to the 184's fully automated navigation, made possible by Ehang's 24/7, real-time flight command center, passengers have no need for a pilot's license—they simply sit back and let the drone take over from there. "Ehang CEO Huazhi Hu says his goal is to make flying easier and faster for people, as well as revolutionize commercial flight in areas such as medical care, shipping and retailing. But even with all the media frenzy over an aircraft that George Jetson might have flown, there was no mention of using it as a battlefield transport, yet. But that is almost certain to happen. Already the Pentagon has experimented with cargo drones in Afghanistan. At the same time, the U.S. military is aggressively pursuing "manned-unmanned teaming," where the pilot of a manned aircraft, such as an Apache helicopter or F-35 fighter, controls multiple drones. In fact, U.S. Army scientists recently noted that as "Army aviation continues to implement increasingly advanced levels of automation, human operators will transition from their current roles actively piloting vehicles to serve instead as Mission Commanders supervising highly intelligent autonomous systems." The natural convergence of these trends is a transport drone for military personnel. The advantages are obvious: smaller and cheaper aircraft that only need a passenger compartment, without the extra weight and cost of a cockpit and trained pilot. Exemplifying the old Chinese proverb “A near neighbour is better than a distant cousin,” official Beijing is switching its main foreign policy focus from great power relations to neighbourhood diplomacy. The Silk Road Economic Belt and Maritime Silk Road initiatives demonstrate the willingness of the Chinese leadership to advance its vision of regional integration, which will have significant ramifications for the Chinese neighbours in general and Central Asia in particular. Beijing has long been using the Silk Road discourse in the context of Central Asia. Yet, only recently this discourse emerged as an official Chinese policy. President of China Xi Jinping presented the Chinese vision of Silk Road Economic Belt in Kazakhstan in 2013. The seriousness of Beijing’s intentions to promote its economic programmes in Central Asia has been underpinned by a series of visits by Xi Jinping to each Central Asian state, where Xi Jinping restated his commitment to invest $40 billion into the region’s infrastructure. The recent unveiling of China-backed $50 billion Asian Infrastructure Investment Bank further confirmed the determination of China to expand its influence in Asia. Nonetheless, even prior to these developments, economic engagement of China in Central Asia over the past years has been nothing but impressive. China emerged as the major economic player in Central Asia. If in the early 2000s the International Monetary Fund estimated the Chinese-Central Asian trade to hit $1billion bar, these numbers reached nearly $50 billion last year. During the period of the financial crisis China surpassed Russia as the region’s leading trading partner. For instance, China National Petroleum Corporation (CNPC) is nowadays one of the largest contributors to the budget of Turkmenistan. In fact, in addition to breaking Gazprom’s gas monopoly across the region, CNPC is currently well situated to act as a mediator in Central Asia – the China-Central Asia pipeline consists of three separate enterprises with 50% ownership between China and Kazakhstan, China and Uzbekistan and China and Turkmenistan. Moreover, China is continuing to invest significantly into transport and energy infrastructure in Central Asia such as Atyrau-Alashankou crude oil pipeline and Turkmenistan-China gas pipeline. In a house in Rafah, at the southern edge of Gaza, I met Sheikh Omar Hams, fifty-one years old, a slender figure dressed in a simple white robe and seated on a mattress on the floor. Hams is director of the Ibn Baz Islamic Institute, based in Rafah, where it also runs a bakery and charity outlets. His mission, he says, is to spread the word of the Prophet Muhammad and to give bread and other aid to the homeless and the poor.Hams is a Salafist sheikh. “A Salaf means an original ancestor—one of those who lived close to the Prophet and observed his actions intimately, followed his ways and his words literally,” he explains. The sheikh teaches his students how to return to those ways, and they in turn spread the word. Unlike many Salafis, who abhor any rational argument about the literal meaning of the Koran, Hams is open to at least some debate. And though sometimes willing to support violent jihad, he accepts that violence is often not justified, preferring instead to secure a return to original Islam through the use of prayer, study, and preaching. Since 2007 Hamas has been the de facto government of Gaza, albeit under Israeli rule—a rule implemented nowadays by means of a military and naval blockade by air, land, and sea, which is described by the United Nations Secretary General, Ban Ki Moon, as “a collective penalty against the people of Gaza.” Hamas is itself an Islamist resistance movement, with a resistance “army” called al-Qassam, but Hamas members are seen as infidels by ISIS since they place the nationalist battle for a Palestinian state before the campaign for a caliphate. Hamas’s willingness to negotiate with Israel and to agree to a cease-fire last summer was seen by ISIS as the latest demonstration of its collaboration.ISIS supporters inside Gaza have shown their opposition and tried to break the cease-fire by firing rockets into Israel, thereby angering Hamas and risking heavy Israeli retaliation. Are Muslim Countries More War-Prone than Others? Nils Petter Gleditsch and Ida Rudofson don’t think so. Yes, in the post-Cold War era most conflicts have been civil wars and a disproportionate number of them have occurred in Muslim countries. The lopsided number, however, is merely proportional. It hasn’t grown in absolute terms and here are the reasons why. This article was originally published by the Peace Research Institute Oslo (PRIO) in Conflict Trends 03/2015. In recent years, most civil wars have taken place in Muslim countries. Are Muslim countries more war-prone? Not necessarily, if we look at data for the whole period after World War II. But in the post- Cold War era, most wars are civil wars. Muslim countries have a disproportionate share of these – not because such conflicts have increased but mainly because other conflicts have declined. We list several hypotheses for why this pat- tern has emerged. • In recent years most civil wars have taken place in Muslim countries. • Increasingly, civil wars involve Islamist insurgencies. • Civil wars in Muslim countries have not increased dramatically in absolute terms, but they make up a larger share of all civil wars. • Thus, civil wars in Muslim countries have become more visible in the overall pattern of armed conflict. In 2012, there were six wars worldwide, in Afghanistan, Pakistan, Sudan, Somalia, Syria, and Yemen. All of them took place in Muslim countries. Of the nine rebel groups in these conflicts, seven had an Islamist ideology. After the end of the Cold War, religion has once again come to occupy a central place in the study of conflict. In this policy brief, we first calculate how many of the internal armed conflicts after World War II have occurred in countries with different dominant religions. We then look at the pattern over time for conflicts in Muslim countries and conflicts involving insurgents with an Islamist orientation. Finally, we discuss a range of possible explanations for the predominance of conflicts involving Muslims countries and Islamists in recent years. In the past two weeks, Saudi Arabia has outraged the world with the execution of Shiite cleric Nimr al-Nimr and sent investors into a frenzy over the possible sale of shares in the world's largest oil company, the Saudi Arabian Oil Co. Many observers attribute the country's behavior to the dominant royal personalities of the day. Western media have described Deputy Crown Prince and Defense Minister Mohammed bin Salman, the 30-year-old favored son of King Salman, as arrogant, naive and impulsive, and they have credited him with steering the Saudi kingdom into somewhat unpredictable territory. The young prince recently revealed himself further with a lengthy interview he granted The Economist - a stark departure from the Saudi royal tradition of delivering terse public statements to tightly controlled state-owned media. He spoke relatively freely about his desire to liberalize the economy and defended his country's policies toward Iran. However, the prince downplayed his role in building a more aggressive Saudi policy, stressing that the kingdom is "a country of institutions," where relevant ministries provide information to a king who makes the final decisions. This is perhaps too generous a description for Saudi politics. After all, Saudi Arabia is better known for its emphasis on family and tribal politics than for its institutional maturity. However, there is certainly more driving the kingdom's actions than a novice prince with an appetite for risk. When you look at a map of the Middle East, three geographic features stand out: the Anatolian land bridge, the Iranian plateau and the Arabian Peninsula. Not coincidentally, these formations constitute the three most active powers in the Middle East today: Turkey, Iran and Saudi Arabia. But Saudi Arabia doesn't have the historical prestige Turkey and Iran do. The Turks and Persians were able to create unique civilizations and vast empires from their well-defined and buffered cores. Access to resources, popular trade routes and heavy migratory traffic gave rise to large populations and a working class. Institutions were created and refined over time to manage its citizens, its national defense and its commercial interests. The Arabian Peninsula's story is quite different. Until oil was discovered in the 1930s, the harsh and barren landscape forming the core of the peninsula was home to only a small number of desert nomads who would survive off the camel caravan trade and raids on small oasis towns controlled and fought over by competing tribes. It was a simple, independent and rather unambitious life in this forbidding interior. Perhaps no region has witnessed more disorder in recent decades than West Asia. Much of the tumult is manmade and a consequence of Western ambitions that sought to remake the region. The dramatic removal of a pivotal Arab state – Iraq – in the heart of the region opened a historical phase whose impact continues to be felt. Like a Shakespearean drama, each subsequent move seems unable to correct the one fatal debacle: a war of choice in 2003. Think about the implications of 2003. It removed a secular Iraqi state that had held three major ethnic communities – Shias, Sunnis and Kurds – under one flag. A regional power able to counteract the ambitions of multiple local pretenders. An oil rich prize that could have financed regional growth and global industrialization for decades. The West Asian order was by no means an ideal one. But it served its purpose. Stability with local powers maintaining equilibrium that merely required external management or deterrence in times of crisis. Fast forward to the contemporary situation. Local sub-national identities are flourishing. States are more fragile than ever, teetering on failure. A radical Wahabi version of Islam is attaining a pan-regional grip undermining not just Iraq but its entire periphery. And, the predominant external actor – America – has been compelled to deepen its strategic and tactical attention and involvement on a literally daily basis even as its capacity and inclination to play such an onerous role seems uncertain. The leadership vacuum reached such a nadir after the 2011 Arab Spring that regional states began pursuing parochial solutions to regional problems. Some suggest, not without reason, that Washington rode the Arab Spring hoping to undermine uncooperative regimes and shape the power balance in favour of its allies. The gamble failed. The final and most dramatic move came with Russia’s direct military intervention in Syria in September 2015. This event has introduced a variable that is likely to shape West Asian geopolitics for many years. No other great power has the capacity to project power or the will to intervene in an area inhabited by numerous Western-allied states. Lets look at the key local actors in the West Asian drama. While militarily, Israel is the most capable and sole nuclear armed state in the region, its ability to shape regional politics is nearly non-existent. Neither can Israel intervene beyond limited punitive interventions beyond its periphery, and, with Russia’s presence in Syria, that too is no longer a unilateral decision but one of careful coordination with the bear. Israel’s indirect influence over US regional policy, however, is formidable as anyone who tracks the American national conversation on the Middle East will attest. Members of the separatist self-proclaimed Donetsk People's Republic army collect parts of a destroyed Ukrainian army tank in the town of Vuhlehirsk, about 10 km to the west of Debaltseve on February 16, 2015. (Baz Ratner/Reuters). Jarno Limnéll is a professor of cybersecurity at Finland’s Aalto University and vice president at Insta Group Plc. You can follow him on Twitter @JarnoLim. As cyber environment continues to evolve, many cyber experts, government officials and academics are following the conflict in Ukraine, and particularly its cyber dimension, very carefully. Russia is believed to be in the top three most cyber-capable countries (the United States and China being the other two) and its actions in Ukraine may set a precedent of how countries integrate cyber operations into military activity. As many have said before, a “pure cyberwar,” where military conflict occurs only in the digital environment, is unlikely to take place anywhere. A more likely occurrence are wars, crises, and conflicts where the exploitation of the digital environment is an integral part of other military activities. This is exactly what has happened in Ukraine. Cyber operations are well suited to the vague concept of hybrid warfare, where states use a mix of conventional and unconventional means to achieve their military goals. In cyberspace, the adversary is usually difficult to locate, nations can conduct offensive actions with less political risk, and international law concerning cyber operations is still a grey area. Even though destructive cyberattacks have not been reported in Ukraine, there have been a variety of cyber activities carried out through the digital domain. A number of the cyber incidents that we know of have occurred against civilian targets, not military ones. As cyber environment continues to evolve, many cyber experts, government officials and academics are following the conflict in Ukraine, and particularly its cyber dimension, very carefully. As many have said before, a “pure cyberwar,” where military conflict occurs only in the digital environment, is unlikely to take place anywhere. A more likely occurrence are wars, crises and conflicts where the exploitation of the digital environment is an integral part of other military activities. This is exactly what has happened in Ukraine. Cyber operations are well suited to the vague concept of hybrid warfare, where states use a mix of conventional and unconventional means to achieve their military goals. In cyberspace, the adversary is usually difficult to locate, nations can conduct offensive actions with less political risk and international law concerning cyber operations is still a grey area. Even though destructive cyberattacks have not been reported in Ukraine, there have been a variety of cyber activities carried out through the digital domain. A number of the cyber incidents that we know of have occurred against civilian targets, not military ones. Since the Crimea crisis of February 2014, the Obama administration has tried to use sanctions to persuade Russia to change its course on foreign policy. But for reasons that would seem irrational by Western standards, the Kremlin is increasingly impervious to business or economic considerations. In describing the difference between American and Russians, Putin recently referenced a quote in "Gone with the Wind" where the American heroine states that she cannot imagine starving. Putin went on to say that, "in the concept of a Russian person there are objectives [other than starvation]." In a similar vein, reflecting on international sanctions Russia's deputy prime minister recently told the World Economic Forum that the Russian people will go through any misery -- "tighten our belt, eat less food, suffer any privations" -- in order to defend their president and country against aggression by the West. Economic sticks and carrots have had and will continue to have a limited impact on Russia. 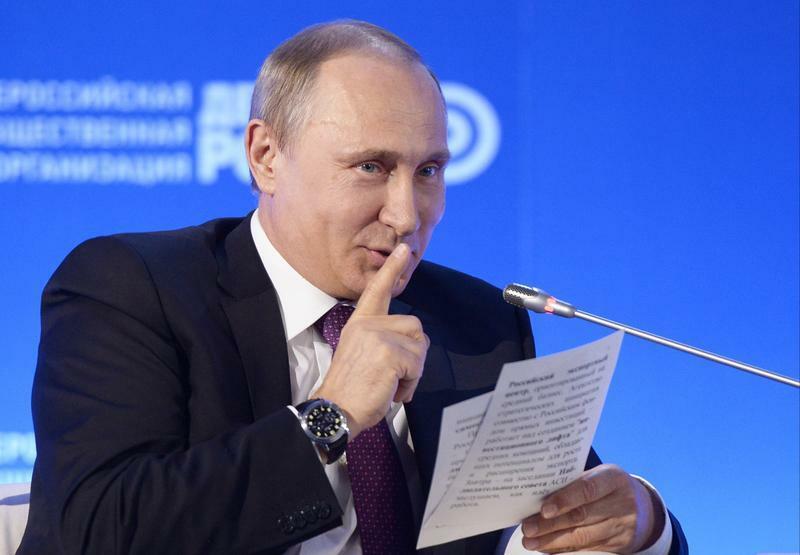 For Putin and his advisers politics matters above all else. Moscow's current approach runs counter to Washington's focus on the economy. Former U.S. President Calvin Coolidge famously stated that "the chief business of the American people is business." In more recent times, when then-governor Bill Clinton ran for president, his campaign advisor James Carville famously coined the phrase "It's the economy, stupid" to divert the electorate's attention from his candidate's perceived weakness in other areas, such as national security and foreign policy; the strategy worked. In every presidential election we rediscover that in the vast majority of instances, the issue that above all else (including national security) dominates the thinking of the American electorate is the economy. The era called “modern” inexorably began to come to its end when, in the second decade of the twenty-first century, a concatenation of foretold events unraveled the so-called modern world order. As always, the foreordained collapse was generated from internal weakness. We need to look no further than Europe to understand why. It has become evident that the European Union, a contrivance designed to do away with the structural elements of that international order—the state as its basic unit and the sovereign borders of its various nations—created nothing in its place capable of coping with an economic crisis, fending off threats to its security, or absorbing history’s Great Migration. Long before this, however, the modern international system, which had welcomed into its ranks Muslims in more than a score of delineated “states,” had begun to feel the rise of believers dedicated to overthrowing the military, monarchical, and autocratic regimes of those very state entities formed in the wake of the collapse of the Ottoman Empire and Caliphate after the First World War. The dynamism of this cause would, by the twenty-first century, produce two massive Muslim powers: The Islamic Republic of Iran which, by its 1979 Revolution, won recognition as a state in the modern world order while at the same time vowing to destroy that very system; and, a generation later, the fearsome rise of the Islamic State, which by its title proclaimed the goal of all the faithful: a new world order ruled by one, and only one, Order. Thus eventuated the fulfillment of American speculation that the only serious challenge to the modern international state system could come if events such as the 9/11 attacks were, in the words of Francis Fukuyama, “driven by a systematic idea of political and social justice that claims to supersede liberalism.” Precisely so: Islam claimed to be advancing a political and social model that rivaled and would replace Western modernity. A valedictory verdict to ponder after yet another week of video frenzy of Hunt the Jihadi across TV screens and print front pages as though the identity of a murderous Brit in a mask (plus five-year-old helper) was somehow a story to bite on, rather than what Pincus would call further drift “into a PR society where, sadly, public relations has become a key part of government and our politics”. For what else are the latest tabloid creations – “Jihadi John 2 and Junior” – doing but playing PR? It’s a question that links, inextricably, to one aspect of journalism itself: the rise of the specialist correspondent. Western democracies and their military instruments of power are struggling with what seems to be the novel and dangerous apparition of radical global extremism. This headline-grabbing new threat, whether called the Islamic State, Muslim Brotherhood, Al Qaeda, Boku Haram or something else, captivates both our military’s and the public’s attention. Yet for all the emphasis on dissecting and describing our latest adversarial form as if they were new butterflies to be cataloged for our collection, there is little critical inquiry into the much larger problem. Despite the massive economic, informational, technological and professional military advantages in the United States and our allies, we continue to stumble and fail in accomplishing any of our major foreign policy objectives. Our coalitions have racked up impressive kill and capture statistics while hardly stemming the tide of fresh suffering and conflict. Frankly, we are losing, and we may continue to lose as we pursue the new rising star of radical Islam, the Islamic State through our own imposed state of confusion. The United States is not alone, with Canadians, the UK, Australians and other military apparatuses and intelligence agencies targeting both the terrorist threats as well as our traditional nation-state rivals. But we’re looking at the US military and its political oversight in this piece. Americans are technical rationalists, and our devotion to this philosophical outlook is part of the reason why we continue to move towards military failure and not success. There are many political, organizational, and cultural layers that obscure and confuse why we have seen military failure in Iraq, the pending failure in Afghanistan, and general failure across the Middle East and Africa. As ‘technical rationalists’, we think that reality can be objectively and analytically measured and controlled within universal principles and techniques. We use the increasing power of technological development to sweep away the fog and confusion of complexity, always with the implication that today’s problems can be solved by tomorrow’s innovation. Carl von Clausewitz is held in high regard in American military doctrine, yet as technical rationalists we also philosophically expect that the technological advances of today should have easily dispatched the fog and friction from prior wars. Paradoxically, today’s fog and friction will be eliminated once we steer technological investment towards gaining tomorrow’s advantage. It begets a vicious cycle.